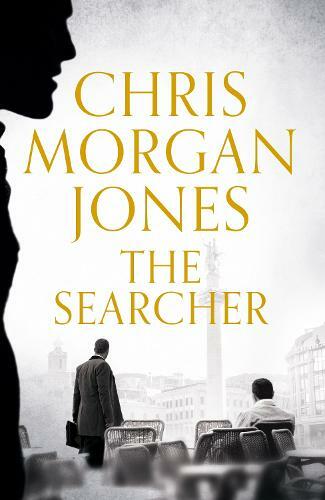 From the author of The Agent of Deceit, Chris Morgan Jones, comes The Searcher, another captivating spy thriller. Isaac Hammer sent down; the great detective behind bars. A bunch of people would like the idea . . . If this had been his doing, fine, he'd take the rap. But stand by and watch while someone else destroyed his world? Isaac Hammer is under arrest. The police have proof that his company, a private London intelligence agency, has broken a dozen laws - tapping phones, hacking emails, bribing police - and now he must face the consequences. But this wasn't Hammer's work, or his style. This was all Ben Webster, and now Webster is missing. Released from custody, Hammer heads to Webster's house to persuade his old colleague to give himself up. But Webster isn't there; he's in Tbilisi, and his wife hasn't heard from him in days. Hammer has no choice but to break bail to bring back the wanted man. In Georgia, every step he takes is watched by policemen, spies and gangsters. Someone out there, Hammer soon realizes, is ready to kill him and everyone dear to him to stop him stumbling towards the truth . . .